This classic design pairs a central floral element with an intricate window perimeter treatment. The result is a versatile glass lite that brings unparalleled style to any application. 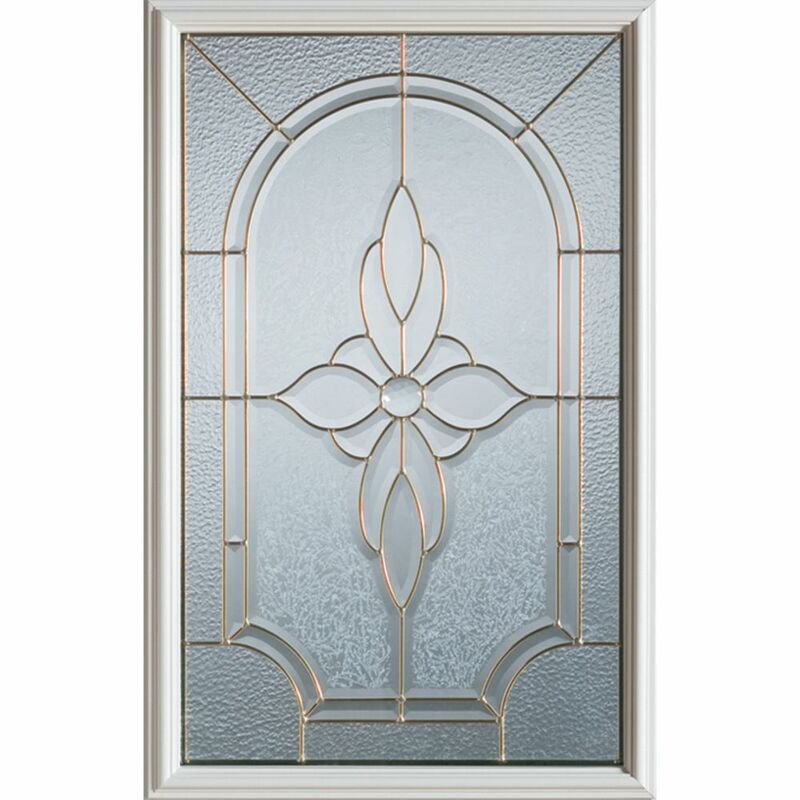 23 inch x 37 inch Trellis Patina Caming 1/2 Lite Decorative Glass Insert This classic design pairs a central floral element with an intricate window perimeter treatment. The result is a versatile glass lite that brings unparalleled style to any application.